The Avg. Group Discount is 4.9%! I had to stay in the Hamptons for ten days for family related business and cannot overstate the professionalism, curtesy and friendline of the front desk staff, the manager (a minor problem occurred which needed to be taken care of, which was resolved promptly by the manager), the people at the daily breakfast service, as well as the cleaning staff. Having a parking garage is also very convenient, as well as the location, close to highway one and the airport (20 min) I would choose this hotel in Calgary again. Also, my room was well appointed and large. 22-Mar-2019 Verified Review, stayed from Mon Mar 11 to Wed Mar 20 2019 at a C$93.68 average nightly rate. 96 guest rooms in total. 440 to 1280 sq feet of meeting room space. We are an easy 5 minute walk from 10 to 15 different restaurants in an area known as motel village we are 7 to 10 minutes drive from downtown calgary. We are proud members of the Room to Be Green program, reducing water, electricity and recycling. 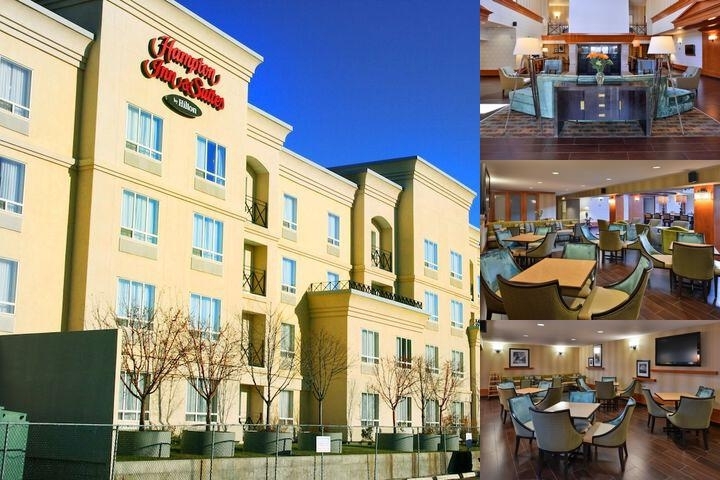 Below are the meeting, banquet, conference and event spaces at Hampton Inn & Suites by Hilton Calgary University Nw. Feel free to use the Hampton Inn & Suites by Hilton Calgary University Nw meeting space capacities chart below to help in your event planning. Hotel Planner specializes in Calgary event planning for sleeping rooms and meeting space for corporate events, weddings, parties, conventions, negotiated rates and trade shows. 20 x 22 x 10 Ft.
68 x 22 x 10 Ft.
48 x 22 x 10 Ft.